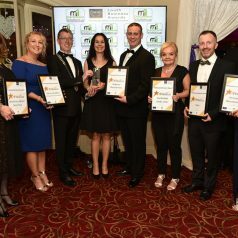 Now is the time to enter your business in the Louth Business awards 2019. There are 22 categories of awards this year, giving you a fantastic selection to choose from. We would encourage you to enter up to four different categories . 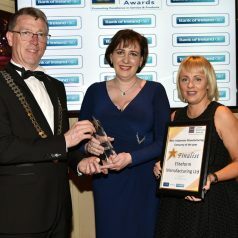 The Business Awards are an excellent opportunity to show-case your business and give it the recognition it warrants. Last year’s event was a “sell out” with over 570 people in attendance. 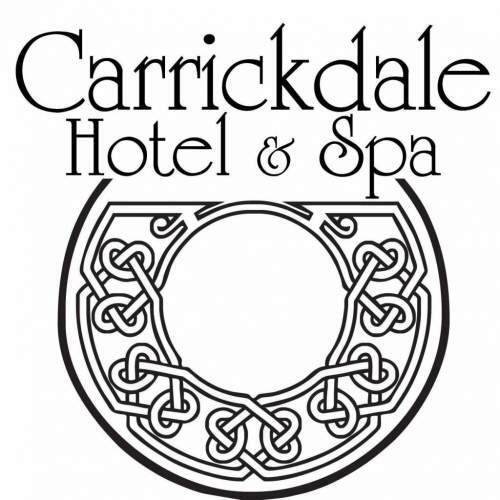 This year’s awards are booked for Saturday 19th October 2019 in the Carrickdale Hotel. There will be excellent media exposure in the run up to the event and it is now the social highlight of the Dundalk business community. 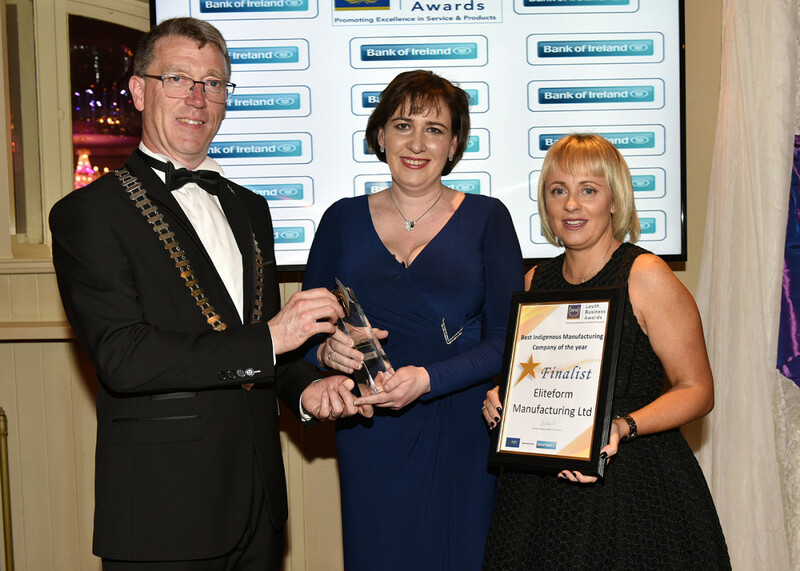 The awards are an excellent opportunity to showcase your business to customers and suppliers. They also help to raise your profile, attracting potential new customers, suppliers and investors. The awards offer excellent PR & marketing exposure. The awards night helps to boost staff morale and is a great networking opportunity. There are 22 categories to choose from and you can enter up to four (we also ask for a nomination for the Lifetime Award for Contribution to Louth). You can enter below. If you would like to make an application by post, download this form. 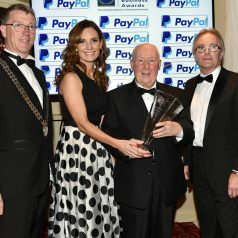 There is no charge to enter the awards and closing date for entries is Friday the 2nd August 2019. Shortlist will be published on Monday 2nd September. 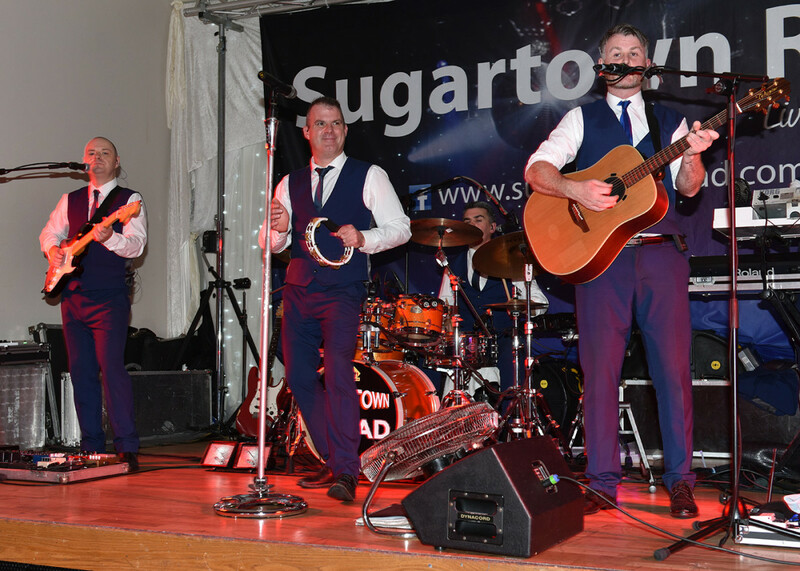 Awards on Saturday 11th October 2019. You may enter up to four of the following categories (and also the Lifetime Award, detailed later). 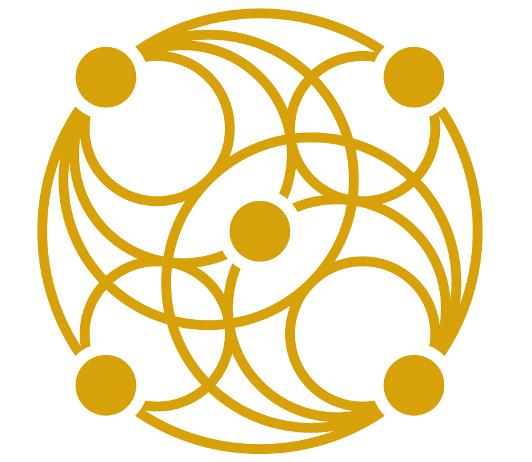 Click the title of a category for further information. This award recognises excellence in exterior and interior premises in terms of visual impact for customers. Window displays, floral displays, cleanliness and overall appearance will be taken in to consideration (Mystery Shopped). Sponsored by Net1.ie. This is for retailers with one shop and recognises what your business offers to the customer that separates you from your competitors, giving the best customer experience along with commitment to offering the highest level of service to each and every customer (Mystery Shopped). Sponsored by The Argus. This award is open to all retailers who have 2 shops or more nationwide. In order for you to succeed you must highlight what separates you from your competitors. Sponsored by The Carrickdale Hotel. This is open to all businesses in the above sector who offer best food, service and value for money (Mystery Shopped). Sponsored by AV Direct. This includes Restaurants, Gastro Pubs and Hotels that strive to offer the best food, service and value for money (Mystery Shopped). Sponsored by Dundalk Stadium. Open to all licensed Bars and Hotels that offer exceptional ambience , service along with cleanliness, hygiene, exterior and interior décor (Mystery Shopped). Sponsored by Diageo. Open to all businesses operating in the Tourism attractions /activities sectors. 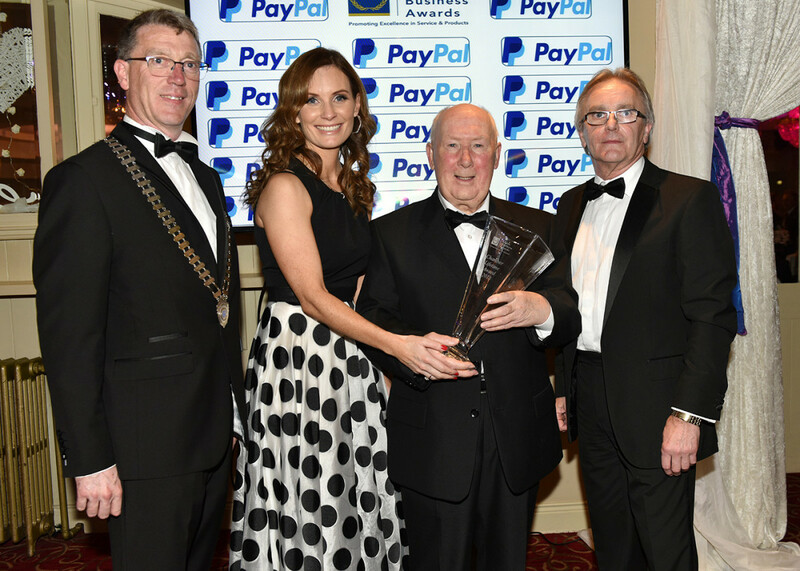 This award recognises a significant contribution of a company/ organization in increasing the number of visitors to Louth through developing marketing, selling and delivering an improved visitor experience. Businesses eligible may include but are not limited to tourism attraction providers (public and/or private providers), tourism activities/adventure, event providers within the county (Mystery Shopped). Sponsored by Value Centre Cash & Carry. This award is open to all relevant businesses in these sectors who have demonstrated strategic growth, innovative entrepreneurship and sustainability with a strong focus on excellent customer care and satisfaction (Mystery Shopped). 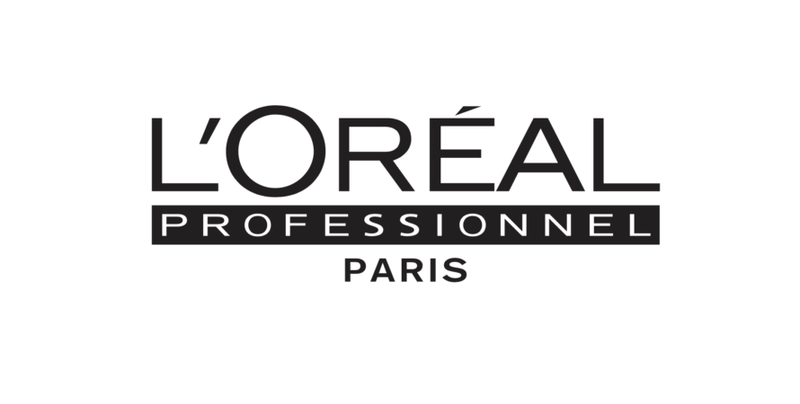 Sponsored by L’Oréal. 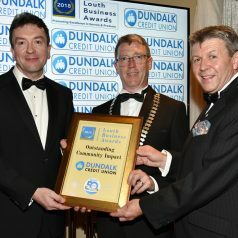 Sponsored by Dundalk Credit Union. This award is designed to celebrate the success of Community and Voluntary Groups. Nominees will be organisations who have made a significant, sustained contribution to their community. Often working behind the scenes, these organisations provide their time and efforts to help their fellow citizens. Sponsored by Dundalk Credit Union. Open to all businesses with 5 or less employees in any sector who have demonstrated growth potential and sustainability. Sponsored by AIB. Open to all non retail businesses with 6-20 employees. The winner will have displayed strategic approach to business, successful implementation and will have good prospects for the future. 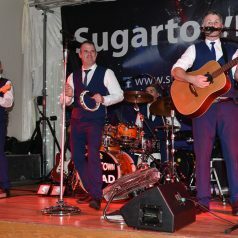 Sponsored by Local Enterprise Office Louth. 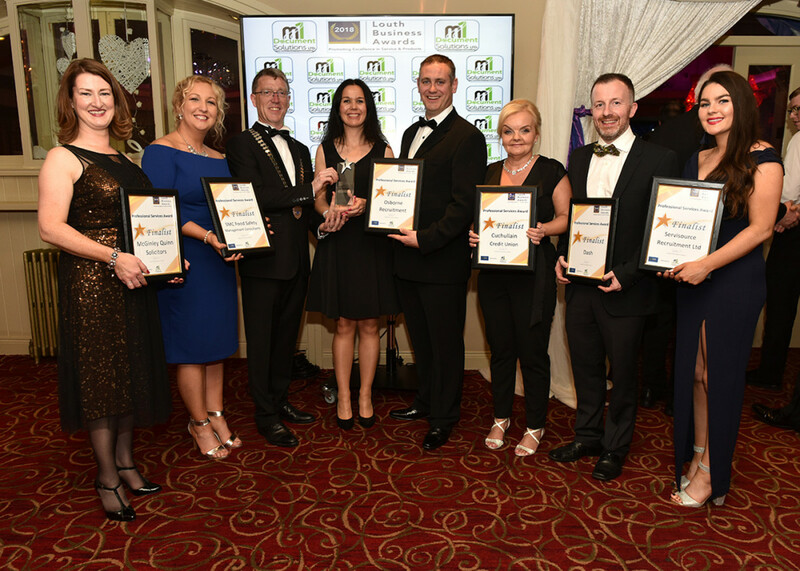 This award is aimed at recognising businesses across all sectors with 21 plus employees that have demonstrated significant achievement and success in employment numbers and who have great success with a particular product or service. Sponsored by VHI Healthcare. This award recognises a company or organization which has implemented the most effective training programme for its employees in support of the company’s objectives. Sponsored by LMETB. Open to all family owned and run businesses who are at least second generation or more and can demonstrate the future sustainability of the business. Sponsored by Prometric.
. The award recognises excellence in customer service, product knowledge and commitment to developing sustainable business practices across the full range of activities. 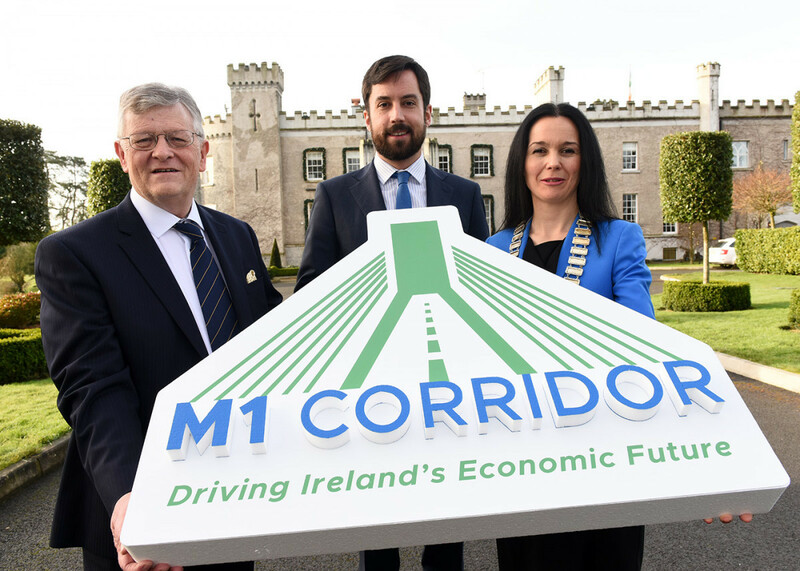 Nominees will come from professions such as estate agents, architects, insurance companies, travel agents, solicitors, dental and medical providers, accountants, banks and financial advisers. Sponsored by Data Protection Training & Auditing Services. Open to businesses involved in the production of goods for supply and /or sale that can demonstrate excellence and best practice in all aspects of manufacturing including but not limited to the following: innovation, design, quality control, sustainable manufacturing processes, supply chain and logistics management, a commitment to continuous improvement processes etc. Businesses eligible to enter this category may include but are not limited to food production, timber production, medical devices, pharmaceutical, electrical goods, engineering products etc. Sponsored by Bank of Ireland. Businesses are often recognised for their friendly and helpful staff/employees that go above and beyond in carrying out their duties whether in customer facing or support roles. This award will recognise that individual with assessment based on various criteria including interview with the employee, report from Manager/Supervisor. This person will be nominated by their Manager. Sponsored by Recruit Island. For a Company engaged in manufacturing / international traded services who has increased export sales in the past 3 years. 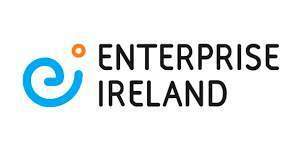 Sponsored by Enterprise Ireland. The judges are looking for evidence of successful use of social media including Facebook, Twitter , Instagram and other social media platforms. The business should be forward thinking with a determination to strive for continued success by pushing the boundaries. The winner should have an excellent appreciation of how new technology can deliver a competitive advantage. Sponsored by Oriel Hub. Open to all businesses regardless of size, industry, sector or turnover. 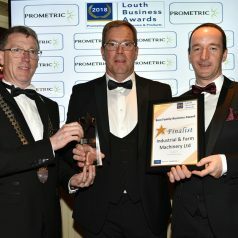 What does your company offer employees that competitors don’t that make your place of work the best in the Louth for e.g. work life balance, perks, health promotion, fun days etc. Judges will consider programmes, policies and practices that have been put in place. The winner will be able to demonstrate how they are achieving the organisational goals through people doing their personal best and working together as a team. Sponsored by Recruitment Plus. This award recognises the achievement of an individual who has been instrumental to the success of a business. Entrants for this award may have exploited an opportunity to develop a successful business from scratch or radically improved the performance of an existing business. Entrants must be able to demonstrate the realisation of their entrepreneurial vision and have a clear plan in place to achieve sustained growth in the future. Sponsored by Regional Development Centre at DkIT. Do you know anyone who deserves this award? 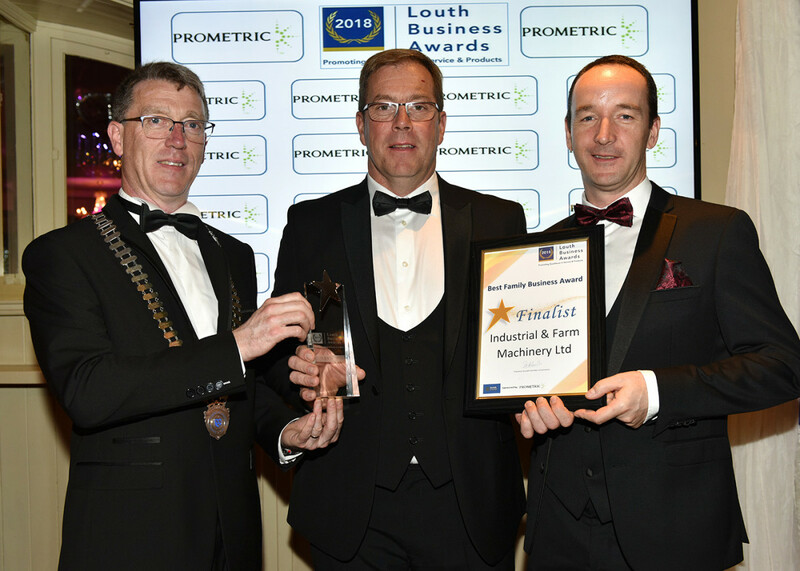 It is presented to an individual who has made a contribution to the business life of Louth that is outstanding in every way. 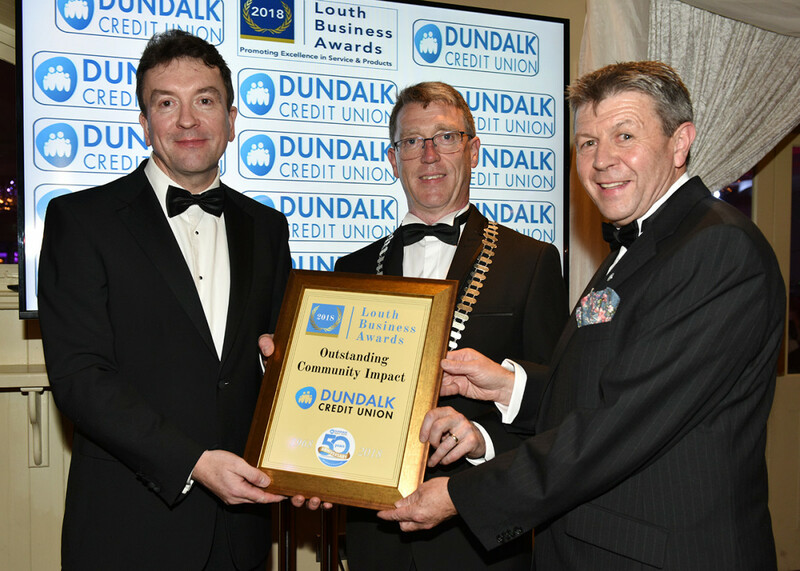 It is for the person who has demonstrated social/economic/community leadership within Louth. This person can be currently active or retired. Sponsored by PayPal. If you would like to nominate your own or another business for an award in one or more of these categories, please click the below button and follow the instructions.